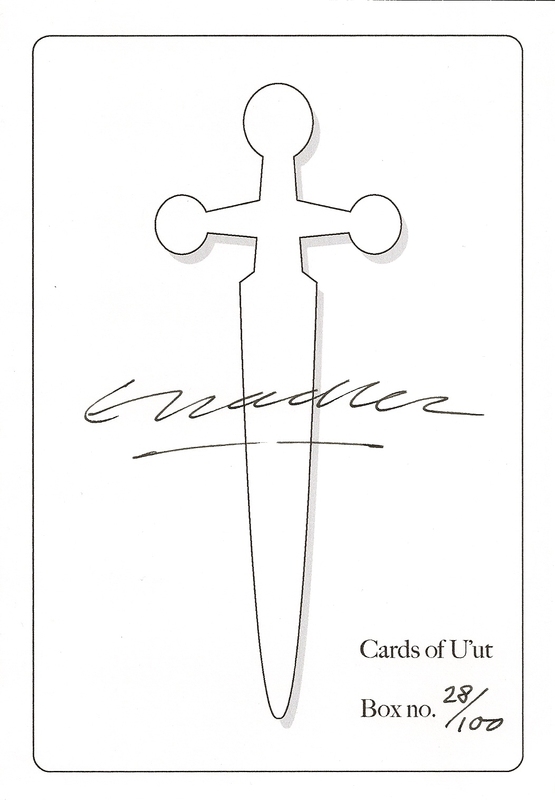 "The Cards of U'ut", formerly known as "The Cards of Wu", is a deck of 37 cards, size 21 cm x 15 cm, packed in a plain aluminium box, with a 48 page booklet and a numbered certificate signed by the artist. 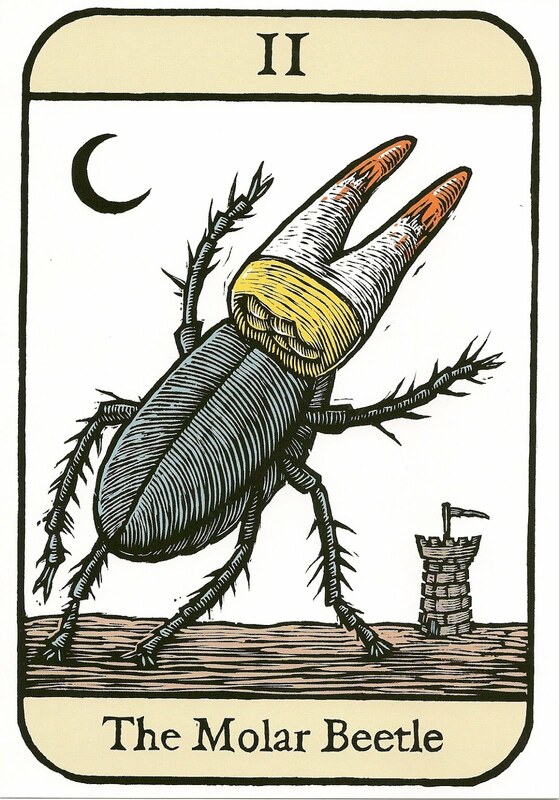 For this limited edition of 100 sets the originial woodcuts were scanned an digitally coloured. In the LWB the author claims this to be a "unique deck of tarot cards", the cards are described as "the first arcana" and "a second arcana" of 41 cards is currently in production. For each card there is a little explanatory poem in the LWB. 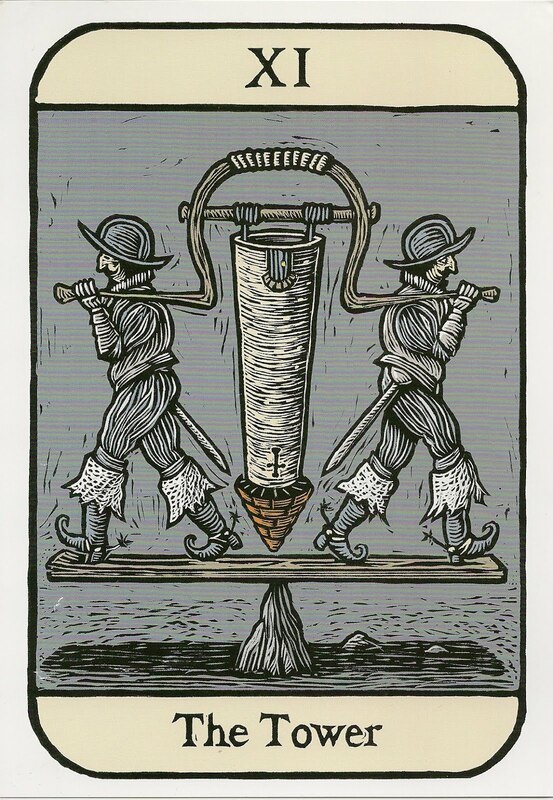 The cards are awesome, its great artwork and maybe they can be used for divination as described in the LWB, but they are not tarot and they won't become tarot when the "second arcana" completes the deck to 78 cards.